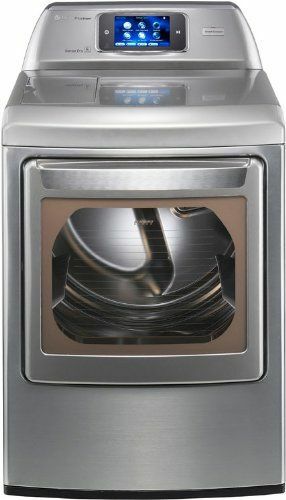 LG DLGX6002V SteamDryer 7.3 cu. ft. If you want to bring smart technology into your laundry room, I think you should definitely consider the line of LG of Smart ThinQ appliances. 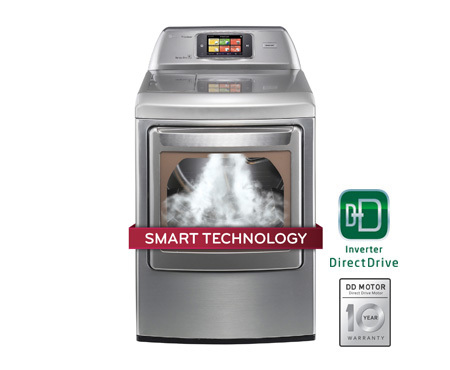 The impressive combination of features in the LG DLGX6002V is the reason why this dryer is ranked at #1. 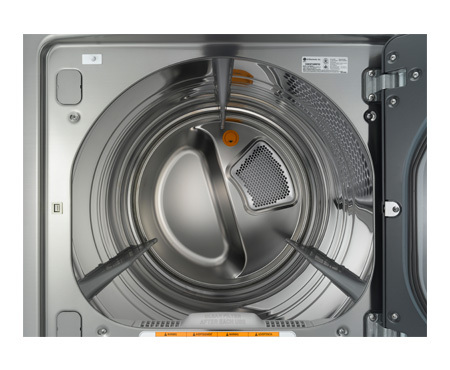 The strikingly vivid LCD touchscreen and graphite steel finish make this dryer to be one of the best designed dryers currently on the market. The attention-grabbing and unique appearance simply screams out “smart”. Built with smart ThinQ technology that makes its performance fantastic. True steam technology, generates steam reducing wrinkles and odors, thus eliminates the need for ironing. Made of stainless graphite steel that is resistant to rust. Steam fresh cycle that runs for 20 minutes to refresh and reduce clothe wrinkles. Has 14 drying cycles including heavy duty, bulky normal/cotton, press/casual, bulky bedding, delicates, anti-bacterial, towels, small load, sportswear, steam fresh, steam sanitary, speed dry, air dry, rack dry. Has 9 drying options namely, more time, less time, wrinkle care, custom program, child lock, reduce static, easy iron, damp dry signal and end of cycle signal. Sensor dry that detects the amount of moisture on the interior and adjusts drying time according to the material of the cloth. SmartDiagnosis that allows it to detect the problems that occur and walk the user through the solutions. LoDecibal Quiet Operation that reduces noise. 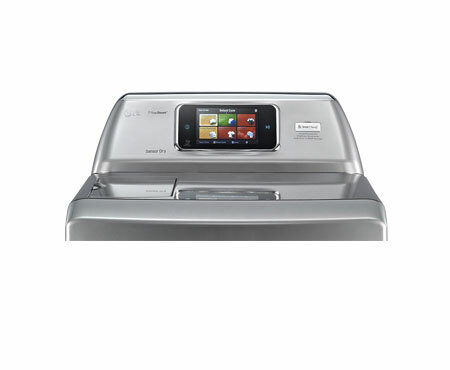 Upfront dual 7-inch Touch screen and Dial-A-cycle that makes it easy to operate the unit. Fitted with a reversible door that makes it extremely stylish and modern. Fitted with a 3-way venting option. Comes with a stylish design and color, thus stands out from the rest of the units. Made with innovativeness to fulfill all the drying needs of the users. Easy to control program due to the clear LED touch screen. Its performance is excellent due to its amazing features. It has a mute sound option enabling it to operate quietly; therefore less distractive. Its ultra large capacity makes it possible for the user to toss when clothes are in large loads. The neveRust stainless steel promotes heat insulation improving drying performance and rust resistance. It uses steam power that gently penetrates through the fabrics. You get your clothes soft and gentle. This unit eliminates the need of ironing as it reduces fabric wrinkles. Has a reversible door that allows users to interrupt the program anytime. The dryer’s lint trap captures every dirt from the fabrics. It is difficult to control the cycles or change settings using. Some cycles take over an hour and still bring out clothes that are not completely dried. 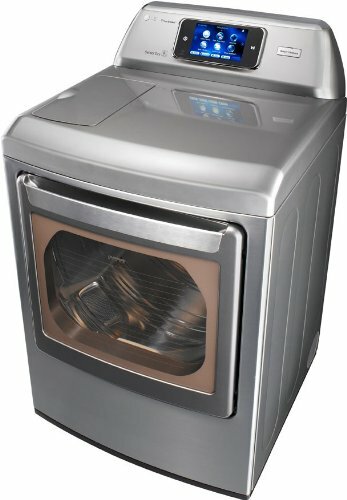 Gas dryers cost more than electric dryers. Conclusion: With its ThinQ technology, you’ll even wonder if this appliance is as smart as you. The LG DLGX6002V can be described with one word: brilliant. It offers features that you simply can’t resist, while the technology reduces odors and wrinkles, and it even eliminates the need for ironing. This is definitely an appliance designed to make life good.